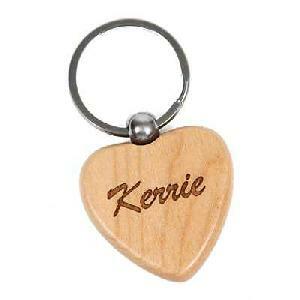 This Maple Heart Keychain is our newest addition to the Wood Gifts Keychain line. The Maple engraves dark for excellent contrast and clarity. This key chain will make a wonderful personalized gift. 1-5/8" x 2-13/16" x .335"